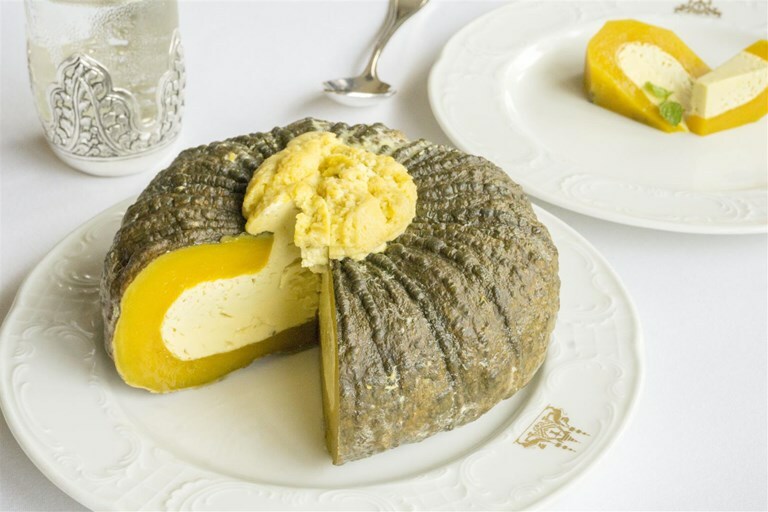 This unusual pumpkin recipe from Cambodia would be perfect for a make-ahead dinner party dessert centerpiece. 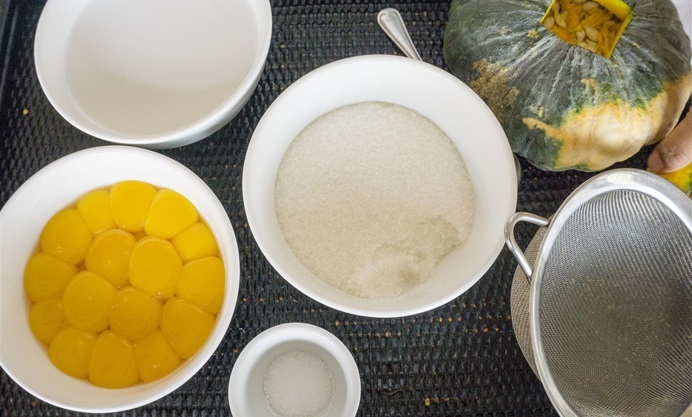 This recipe is fairly large, but you could always scale down the ingredients and size of the pumpkin to end up with fewer slices. 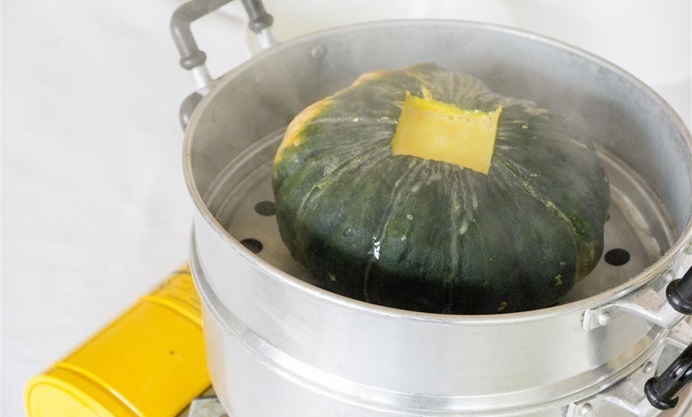 This recipe requires a large steamer to fit the whole pumpkin. You could use a large and deep pot filled with a couple of inches of water, with the pumpkin resting on one or two stacked ramekins to keep it from being in contact with the base of the pan or the water level. Keep the lid on, and continue to top up the water level throughout the steaming process to ensure it doesn’t dry out. 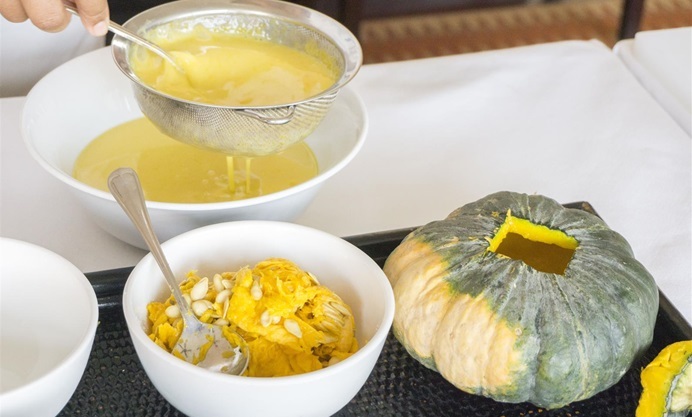 If you don’t have a big enough pot for one larger pumpkin, you could instead use a few smaller pumpkins, fill them with the same custard mix, and steam them one at a time. Remember they’ll cook a lot quicker. This recipe has been taken from ‘Royal Khmer Cuisine’, a book created and written by the culinary team at Raffles Grand Hotel D’Angkor Siem Reap Cambodia. This book is not available for sale, but is provided to attendees of the cooking class. When you’re ready to serve, just slice it into portions and carefully slice off the pumpkin skin. 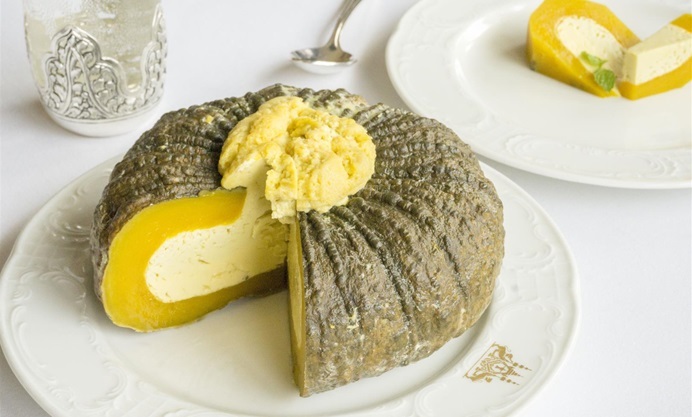 You’ll be left with a wedge of set coconut custard nestled inside a layer of sweet pumpkin flesh. Wonderful! A London-based food and travel photographer and writer, Leyla spent the best part of 2015 eating her way around the world.